Venom is hungry for you and your coffee! This Spider-Man Venom Body 25 oz. 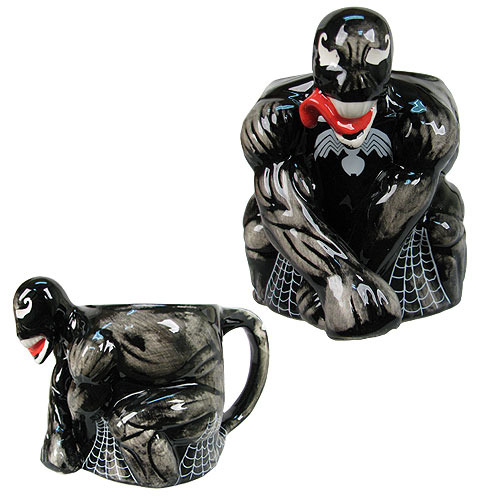 Molded Mug looks like the symbiote enemy to Spider-Man, ready to lunge with his tongue extended! This expertly crafted molded mug holds 25 ounces of liquid. Hand wash only. Not dishwasher safe. Do not microwave. Ages 14 and older.